Wardrobe and set design may seem like frivolous aspects of filmmaking, as if they’re the frosting on top of a cake — nice when they’re there, but not necessary to satisfy your hunger. Wrong! 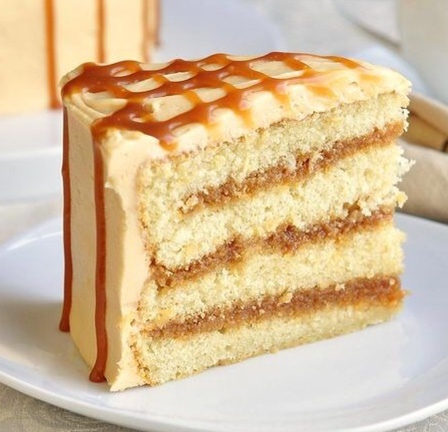 Trying to capture an audience without a setting is like serving a cake without having mixed the ingredients together first. And without icing. And who wants that?! Wardrobe and set design are what give the ‘cake’ its shape, and are often what holds everything together. Visual clues give the audience a deeper understanding of a character or situation; they appeal to our visual intelligence. It’s a way of communicating a ton of information without saying a word. Visual clues give the audience the time: are we in the future, the present, the past, an alternate reality timeline? They can also convey the financial and social standing of your characters, their points of view, as well as where they’re from. You can reflect their beliefs, morality, even their education, just by giving them the right background and attire. So, not going to a rave, then? 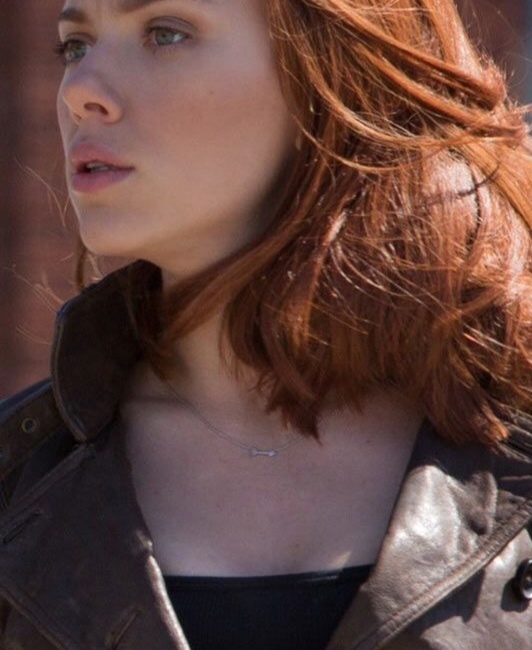 In Captain America: The Winter Soldier, Black Widow wears a simple arrow necklace. As a spy, her clothes, even her hairstyle, are often arranged to fit the job she’s working. That necklace was the only piece that was her: unconnected to any SHIELD assignment. The arrow reminded the audience of her relationship with Clint Barton, and that underneath her killer moves was a person with relationships that she would break her own rules for. It was pivotal to the story that the audience remember that Natasha has a history, and isn’t just an action hero to provide backup to Steve. Statement jewelry. Steve not pictured. The wardrobe can give the audience all they need to know about a character, and the set design can ground the story in less than a second. The messy desk of a lawyer in a well-tailored suit shows us someone who presents themselves as having it all together, but has a messy hidden life. 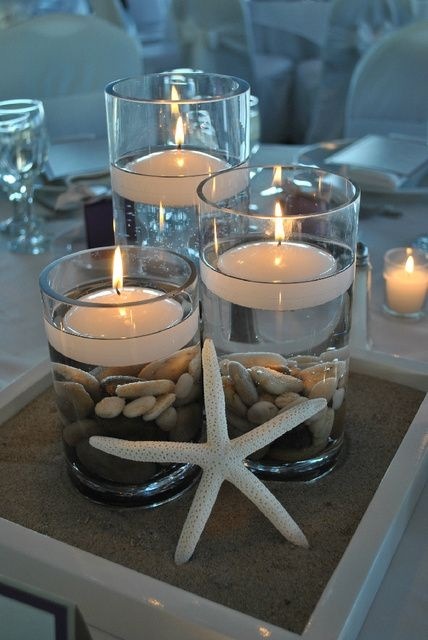 A woman in flip flops on a cream couch surrounded by nautical-themed accents has the audience smelling salt in the air without a shot of the ocean or the sound of waves crashing. You can hear the seagulls. Seagulls not pictured. Design is especially important in a short film, since you have limited time to tell your story. You need to use as many short cuts, visual or otherwise, as you can. However, coupled with a limited budget, design can cause some massive headaches. As with every aspect of making a low budget short, you’re going to have to get creative to to work with what you have. We hate to break it to you, but you’re not going to be able to build that Nancy Meyer kitchen set. But (assuming you don’t know anyone with a Nancy Meyer kitchen willing to let you use it, or Nancy Meyer herself), you can find a kitchen island at IKEA, put it in front of a large window, and have your cast orbit around it, giving the impression that there’s a large kitchen around them, just out of shot. As long as you evoke the impression of a large fancy kitchen, your audience will see it. No one fights in this kitchen. Don’t overwhelm. Everything in the space should serve a function. If it’s not there to reflect something about the location, story or characters, it shouldn’t be there. You don’t want your audience so engrossed in your beautifully designed backgrounds that they lose focus on the unfolding story. Downsize. If the scene is taking place in one location, you only need to create a part of that location. Like the kitchen example above, why create a huge set if your actors are just sitting in place? Dressing up the corner of the room can be all you need — just remember to ensure that all your angles are covered, so wherever you want to point your camera, we’re seeing what we need to. Have fun. You know what makes movies repeat-watching worthy? All the little things you discover each time you watch them. Keep that in mind when putting together your set. On the God’s Work episode of SouthLAnd (moment of silence for that AMAZING show), in one scene children’s alphabet letters were arranged on a table to form the producer’s initials (admittedly, this is not character-based, but it’s a fun easter egg, which is another reason to spend a lot of time on the details). In every J.J. Abrams movie there’s an R2 D2 hidden somewhere (probably won’t be too hard to spot in his next film). 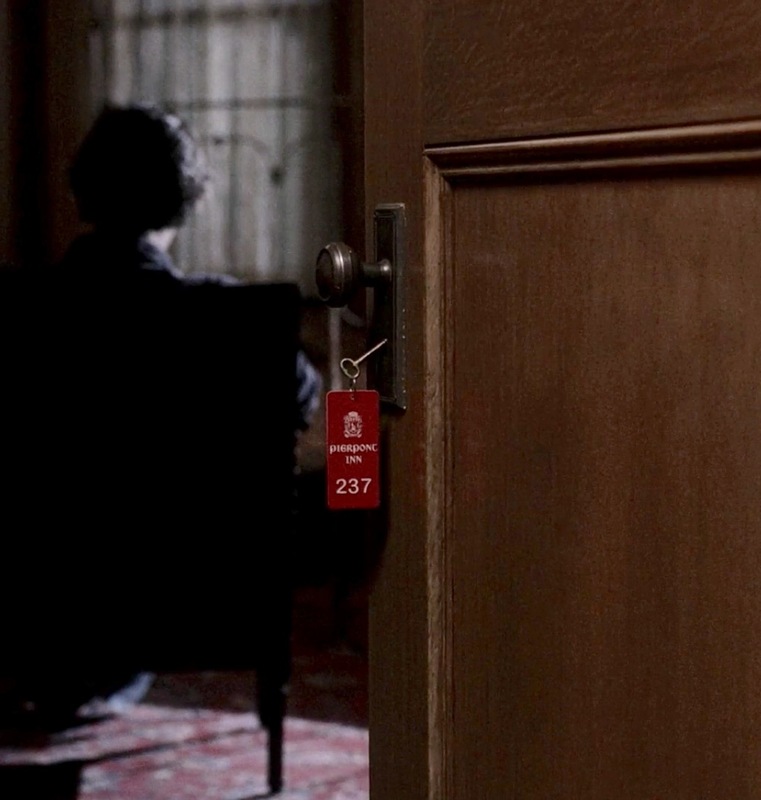 In Supernatural’s season 2 episode Playthings, the Shining homages didn’t end with the desolate old hotel. As we mentioned before when talking about writing, characters don’t often say what they mean. With an absence of history or internal dialogue, the setting and wardrobe are what raise the volume of what is not being said. This entry was posted in A.D. Croucher, Short films and tagged Black Widow, Cake, Captain America: The Winter Soldier, Clint Barton, Costume design, JJ Abrams, Nancy Meyer, Natasha Romanov, Pride and Prejudice, R2 D2, Set design, SHIELD, SouthLAnd, Steve Rogers, Wardrobe. Bookmark the permalink.